DUPORTH (AUS) (Bay or Brown 2005-Stud 2010). 3 wins to 1400m, BTC Cup, Gr.1. Sire of 97 rnrs, 54 wnrs, inc. SP Cornrow, Inkling, Two Over One - Wingold (H.K.) and of Hey Doc, Dee Nine Elle, Paceman, Dashing Fellow, Dupe 'em, Mooshakissa, Balmain Boy, Duporth Jack, Mamaroochy, Mister Rockstar, Ocean Grand, Pollywagon, Ruettiger, Sheezalady, Thelittleracketeer, Gone to Paris, Validate, Braces, Ginali, Hermano Menor, Lady Duporth, Stick With Me, etc. Dee Nine Elle (f. by Duporth). 2 wins at 1350m in 2015-16, BRC Anti Wrinkle & Skin Studio H., Ipswich Grammar School P., 2d Ipswich TC High Teas at ITC H., 3d BRC CFMEU M & E Division Qld H.
HOT AS HELL (County). 9 wins-1 at 2-to 1100m, A$258,618, AJC Shorts H., Gr.3, June S., L-twice, NSW Tatt's RC AJF Rofe H., STC Elders Retired Officers H., Northern Dancer H., 2d STC Star Kingdom S., Gr.3, Moet & Chandon H., L, Questing Quality H., Diabetes Dash H., Londonderry H., Glebe H., 3d STC Native Dancer Series H., 4th STC Missile S., Gr.3. CRAIG'S DRAGON (Catbird). 6 wins at 1000m, 1200m, HK$5,025,700, HKJC Chow Tai Fook Bauhinia Sprint Trophy, HK-3, Kap Shui Mun H., Chevalier E & M Engineering H., Heilongjiang H., Paris H., Lady Millenary H., 2d HKJC Skol Cup, 3d HKJC Lantau Peak H., Peony H., Admiralty H., Mission Hills in Residence, Panasonic Celumina H.
FLAMING HOT (County). 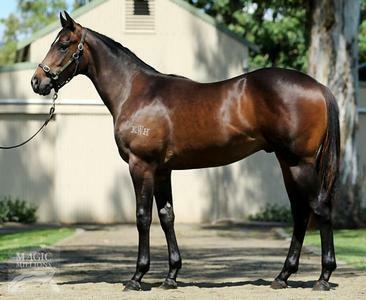 9 wins-3 at 2-to 1200m, A$226,500, NSW Tatt's RC Carrington S., L, AJC Good Health Wins 2YO H., STC Northern Dancer H., Seppelt Harpers Range H., Wyong 2KY Cedar Brush Gold P., 2d AJC San Domenico S., Gr.2, STC Port Jackson Flying Welter H., Pacific Flying Welter H., Veiled Threat H., AJC/STC Bookmakers H., 3d AJC Ansett Australia H., Rajah H., STC Opera House H., 4th Gosford RC Pacesetter S., L.
HARLEM RIVER (Fastnet Rock). Winner at 2, A$129,400, in 2014-15, Qld Tatt's RC Tattersall's S., L, 2d BRC Lancaster S., L, Scone RC Woodlands S., L, 3d MRC Thoroughbred Club S., Gr.3. Drum Fire. 4 wins-1 at 2-from 900m to 1700m, WATC Parkin H., Starglow H., Powered by Fruit 'n' Veg H., 2d WATC Marillier H., Starjo H.
Sin Sin Sin. 3 wins. See above. Margaret Street. Winner at 2, WATC Carlton Natural Blonde 2YO P.
FINE BUBBLES (Casino Prince). 5 wins to 1400m, A$322,495, to 2014-15, Newcastle JC Tibbie S., Gr.3, ATC Laundry Machinery Solutions H., BRC Gouldson Injury Law H., 2d ATC TAB Iphone App H., Australian Turf Club H., Tab.com.au H., Big Sports Breakfast H., 3d ATC Sapphire S., Gr.2. ALART (Excellent Art). 7 wins-4 at 2-to 1400m, A$274,885, to 2015-16, ATC Reginald Allen H., L, Wellington Boot, ATC CFMEU Mining & Energy H.